Ruhig Village is very beautiful map for MCPE 0.16.0 where you will find a small village. Here you will find the village with beautiful buildings, and that's not all. This is not a village that you could meet in the ordinary world, here are the really beautiful building. Although the village is not large it has a lot of different buildings such as a church, a market, a tower, a school and homes. All buildings are made in a medieval style and look very nice. 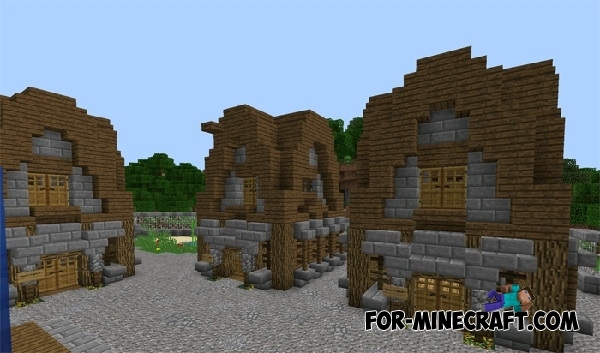 If you like the Middle Ages, or simply want to learn how to build a medieval building, be sure to download Ruhig Village map.